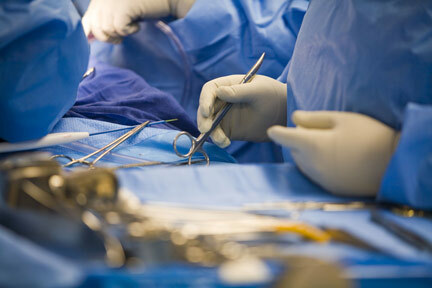 What injuries are considered Medical Malpractice? Medical malpractice, also referred to as "med mal," "healthcare liability," "doctor malpractice," "hospital malpractice," or "hospital negligence," happens when a healthcare professional, such as a doctor, nurse, or surgeon makes a careless (negligent) or reckless error, which results in harm to you, the patient. This can be particularly traumatizing because society relies on and trusts our healthcare system, especially our doctors, to provide excellent medical care and to act with special care to protect us. However, a 2004 study found that in an estimated 9 out of 10 medical malpractice trials, the alleged harm involved either a permanent injury (57%) or a wrongful death claim (33%). 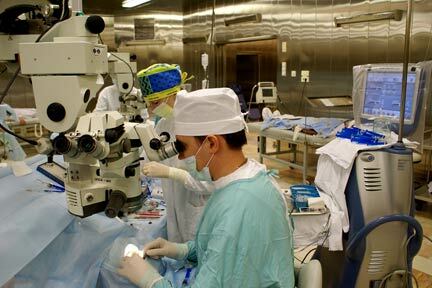 Malpractice can happen in many situations from the obvious but rare case of a surgeon dropping a scalpel into a body during surgery and forgetting to take it out to a situation where a physician is not paying full attention during an examination and makes a faulty diagnosis which leads to improper treatment. Medical malpractice can occur in hospitals, medical clinics, nursing homes, and anywhere else where there are medical professionals. People in Lake Charles, Calcasieu Parish, and Southwestern Louisiana are injured every day due to negligent errors and sometimes even recklessness in hospitals and other medical facilities across the Lake Charles area. If you or a loved one has been hurt by a medical professional, you know the effects can be devastating and costly. Doctors should be held accountable for their negligence, just like anyone else, and a Lake Charles medical malpractice attorney will help you make sure that physician recklessness and negligence is met with justice. Most importantly, Lake Charles Medical Malpractice lawyers will help you receive any financial compensation you are owed under the laws of Louisiana. Why do you need a Lake Charles, LA Medical Malpractice Lawyer? No one thinks their doctor will commit malpractice. The truth is that most Southwestern Louisiana doctors are excellent physicians and work extremely hard to bring their patients relief. Also, just because a procedure is not successful or a disease cannot be cured, this does not always mean there was malpractice. This is why experts are necessary to determine if malpractice was involved. 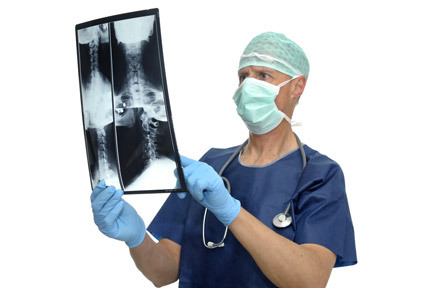 Lake Charles Medical Malpractice lawyers almost always hire experts to help review all of the evidence, medical records, x-rays, MRIs and other medical documents. Sometimes, a Lake Charles Medical Malpractice attorney will also refer their clients to doctors for examinations so they can understand both the severity and cause of the injury. Because hospitals and doctors have big insurance companies fighting for them, you will need an experienced Lake Charles Medical Malpractice Attorney fighting for you. If the case goes to trial, an experienced Lake Charles Medical Malpractice Lawyer will make sure that the right experts testify on your behalf. Only a Lake Charles lawyer knows which experts a jury will believe. An Calcasieu Parish Malpractice lawyer will make sure that your case is presented in the best way to prove to a court of law and a jury that you deserve compensation for your injury. If you or a family member was hurt by a doctor or other medical professional, call a Lake Charles Medical Malpractice Attorney to make sure your claim is handled the right way. Lake Charles medical malpractice law firms are experienced in dealing with healthcare defense lawyers and can help you make sure that justice is served. Every state has different laws concerning medical malpractice. In Louisiana, the most important laws are those requiring you to file your claim within one (1) year of the injury and limiting damages to $500,000 plus future medical expenses. Prescriptive Period: There is a one (1) year prescriptive period from the date of injury, unless the injury cannot be discovered until later. If this is the case, a lawsuit must be filed within a year from when the discovery should have happened, but in no case can this be more than three years after the original act causing the injury. Pre-Judgment Interest: The law allows for interest to start running on the day the suit is filed. Expert Witnesses & Standards for Judging the Reasonableness of the Medical Professional's Conduct: Specific requirements determine a person's qualification as an expert witness as to whether the physician or professional charged departed from accepted medical industry standards. Louisiana law limits judgments against doctors insured by the state to $100,000, but more than one doctor can be sued for a total of up to $500,000 plus future expenses. There is also a state fund to help patients recover up to $500,000 while limiting the amount doctors have to pay. There is no cap on damages when a doctor chooses not to participate in this program. Governmental Immunity: Different rules may apply to governmental immunity for malpractice claims. Contact a Lake Charles medical malpractice attorney for further legal advice. Medical Review Panel: One of the most important parts of Louisiana Medical Malpractice law is the statutorily required Medical Review Panel. Before any Louisiana Med Mal case goes to court, it must first go through a panel of three doctors and a lawyer. The doctors on the panel are usually specialists, and the injured person picks one of the doctors. The panel decides, over the course of up to 180 days, whether or not the doctor breached his standard of care. While the cost paid to the panel is only $100 per defendant, costs can be higher because the panel looks at evidence. This means that the discovery process that can make a trial time-consuming and expensive is often a part of the panel process. The panel's decision is used as evidence if the case goes to trial, but their decision does NOT guarantee the outcome of the case. The panel is required to hold specialists to the same standard of care that is expected nationally. An injured party only has 90 days to file a lawsuit after the panel makes its decision - no matter what their decision is. Doctors are generally slow to find that other doctors breached the standard of care through negligence or malpractice. This is one of the reasons why less than 5% of doctors are found to have breached their duty by the panel. Because it is very hard to know what the panel will decide, and very hard to know if a jury will listen, you should contact a Louisiana Medical Malpractice lawyer today to help you evaluate your claim. More information about the Medical Review Panels can be found at their official website. Call any of the Medical Review Panel medical malpractice attorneys on this page for a free initial case evaluation. In Louisiana, future payments are usually paid for by the Patient's Compensation Fund. Louisiana follows the Collateral Source Rule, meaning that a patient's recovery cannot be reduced by benefits paid from a source other than the doctor, such as an insurance provider. Joint and several liability refers to the legal practice of holding more than one defendant jointly liable for the entire amount of a plaintiff's damages. Because Louisiana does not apply joint and several liability, each party is only liable for the percentage of the damage that they caused in a medical malpractice case. In Louisiana, a hospital can be liable for the actions of its agents, such as its doctors or nurses, due to the agency relationship. Agency is demonstrated by control. The main factors Louisiana courts use to decide if an agency relationship exists between the doctor and the hospital are: (1) whether the medical facility controlled and supervised the professional medical judgment of the doctor, (2) whether the hospital handled the billing, (3) whether the facility provided and maintained the equipment used by the doctor or nurse, (4) whether the hospital paid for the doctor's malpractice insurance, and (5) the terms of the contract between the doctor and his or her employer. If a doctor, nurse, or other medical professional has caused injury to you or a family member, you might be entitled to recover monetary damages. Call one of the Lake Charles medical malpractice attorneys listed above for a consultation regarding your claim before Louisiana's one (1) year prescriptive period ends and you lose your legal rights! Lake Charles Med Mal Attorneys bring suits in many different courts depending on the circumstances. The following are just some of the many courts in the Lake Charles area. When you need someone in your corner, an Calcasieu Parish personal injury lawyer will be there for you. Call now to speak with an experienced Lake Charles medical malpractice attorney today.